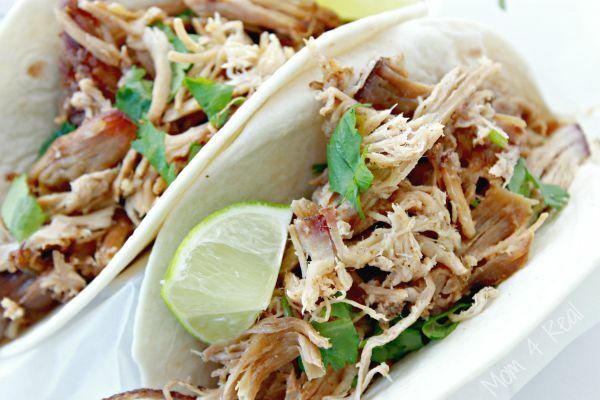 These slow cooker carnitas pork tacos are sure to become a family favorite! 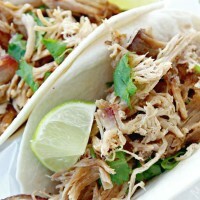 Carnitas pork tacos are all the rage right now, and for good reason! They are flavor filled and delicious…so good, that even our kiddos love them! 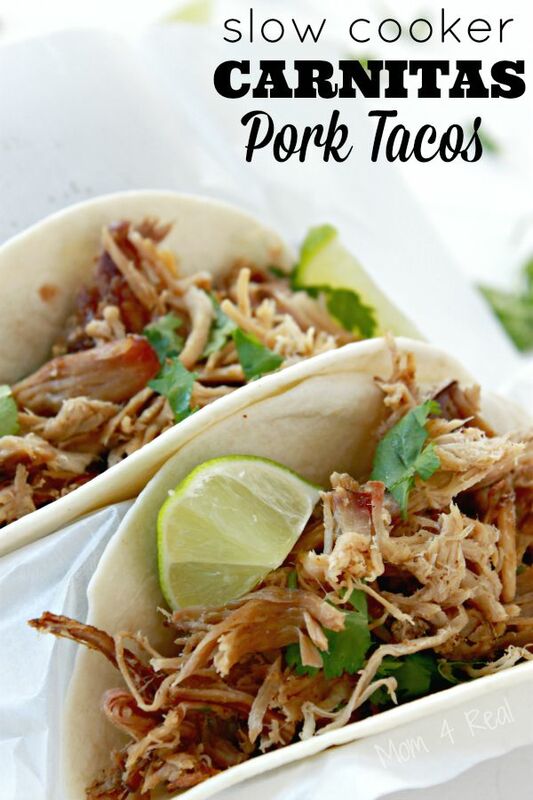 These fabulous pork tacos are so easy to make too. You just gather the ingredients and let your slow cooker do all of the work while you go about your business! They cook much like my Slow Cooker Shredded Chicken, but have an amazing moist on the inside and crispy on the outside taste! 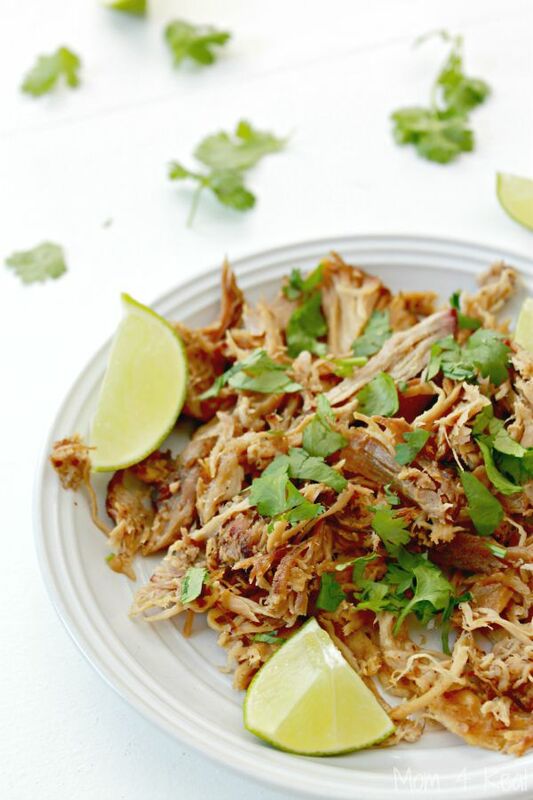 These slow cooker carnitas pork tacos will quickly become a family favorite! Combine chili powder, cumin, oregano, salt, and pepper in a bowl. Rub the spice mixture all over the outside of the pork shoulder. Combine orange juice, lime juice, garlic and onion in the slow cooker and place pork on the top. Remove the roast from your slow cooker and shred. Serve immediately or return to crock pot. These carnitas pork tacos are great served with lime, cilantro, cheese, guacamole, sour cream, diced tomatoes or any of your favorite taco fixins! I love mine with a little cilantro and a squeeze of lime! We just set up a taco bar and let everybody build their own! The whole family loves them, and I can’t wait to make them for our friends too! They are simply delish!! !